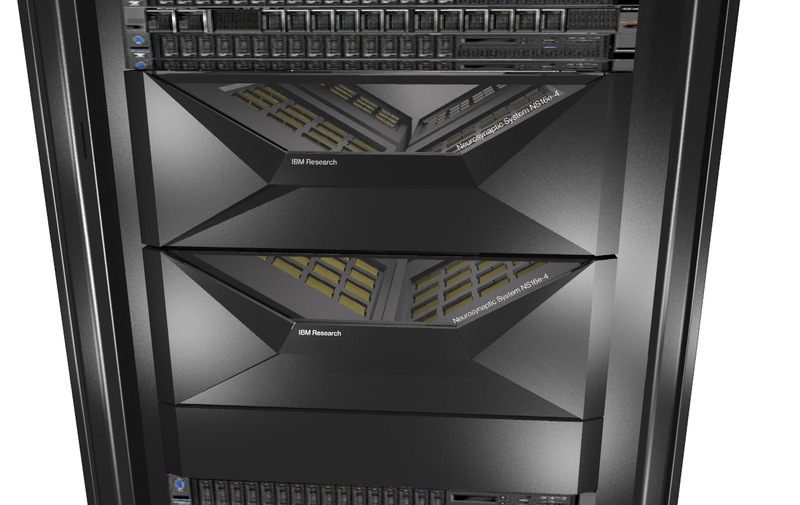 IBM is working with the U.S. Air Force to improve its TrueNorth line of chips designed to optimize the performance of machine learning models at the hardware level. The new 64-chip array will consist of four boards, each with 16 chips. IBM’s chips are still too experimental to be used in mass production, but they’ve shown promise in running a special type of neural network called a spiking neural network. Though the technology is still in its infancy, IBM believes the low power consumption of its chips could some day bring value in constrained applications like mobile phones and self-driving cars. In an Air Force context, this could include applications in satellites and unmanned aerial vehicles (UAVs). The chips are designed in such a way that researchers can run a single neural net on multiple data sets or run multiple neural nets on a single data set. Dharmendra Modha, IBM’s Chief Scientist for brain-inspired computing, told me that the U.S. Air Force was the first organization to take an early, small single chip, board from IBM’s lab. The TrueNorth project began as a the DARPA SyNAPSE project back in mid-2008. Since IBM began working on the project, it has been able to increase the number of neurons per system from 256 to 64 million. Similar to other experimental computing hardware like chips enabling quantum annealing, IBM’s TrueNorth approach has drawn criticism from some leaders of the field who say it offers limited advantages over more conventional custom chips, FPGAs and GPUs. Back in 2014, Yann LeCun, Facebook’s Director of AI Research published a public Facebook post expressing skepticism at TrueNorth’s ability to deliver value in a real world application. He went on to argue that IBM’s chips are designed for spiking neural networks, a type of network that hasn’t shown as much promise as convolutional neural networks on common tasks like object recognition. IBM cites a paper it published showing that CNNs can be mapped efficiently to TrueNorth — but clearly more benchmarking work is needed. In practice, TrueNorth has been put to use in over 40 institutions, including both universities and government agencies. If you put yourself in the shoes of researchers, why would you not want access to experimental hardware? We haven’t fully explored all the potential applications of this type of computing, so while it’s very reasonable to be conservative, researchers have little incentive to completely disregard the potential of the project. This means sales for IBM and more, much needed, research in the space.